It is not unusual for patients that spent years wearing glasses or contact lenses to say that LASIK was the best money they ever spent. It’s impossible to put a price on the benefits and conveniences of clear vision without visual aids. At Berks Eye Physicians and Surgeons, we believe that everyone deserves the chance to have laser vision correction at accessible prices. How Much Does LASIK Cost in Berks County? Normally, LASIK with Dr. Domenic C. Izzo, Jr., costs $5,999.00. Right now, we are offering special pricing of $3,950.00. 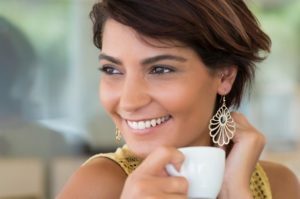 The best way to learn more about the cost of LASIK in Berks County is to schedule a consultation with Dr. Domenic C. Izzo, Jr., at Berks Eye Physicians and Surgeons. Our team can talk to you about your payment and financing options during your consultation. Dr. Izzo encourages you to be cautious about “discount” or “bargain” LASIK centers — sometimes the low prices are meant to distract from the surgeon’s lack of experience or low-grade, outdated technology. At Berks Eye Physicians and Surgeons, we offer fair LASIK prices without cutting corners or sacrificing quality. As our valued patient, you are entitled to world-class, personalized care, top-of-the-line technology and exceptional outcomes — all at accessible prices. Berks Eye Physicians and Surgeons accepts multiple forms of payment, including cash, checks and most major credit cards. We offer a $100 discount if you choose to pay by cash or check. You may also opt to use your tax refund to pay for LASIK, or you can choose to draw pre-tax dollars from a flexible or health savings account to put toward LASIK. Berks Eye Physicians and Surgeons offers several LASIK financing plans to help you fit LASIK into your monthly budget. This allows you to have treatment now and pay for LASIK in small installments over time, regardless of your credit. You don’t have to put off laser vision correction until you build up enough savings or boost your credit score. One option is to finance your treatment through CareCredit, one of the leading lenders for elective healthcare costs. CareCredit offers multiple plans with low or no interest rates. You can learn more about CareCredit and start the application process here. Another option is financing your LASIK costs through Diamond Credit Union. Our team has negotiated with Diamond Credit Union to secure special rates. To learn more about the terms, schedule your free consultation today! As you evaluate the cost of LASIK and how it fits into your budget, remind yourself that LASIK is a valuable investment in your health and wellbeing. It is also a wise financial move. Compare the one-time cost of LASIK to the repeated costs of wearing glasses or contact lenses over the course of your lifetime. Boxes of contact lenses, new frames, cleaning supplies and repeated doctor’s appointments add up significantly. 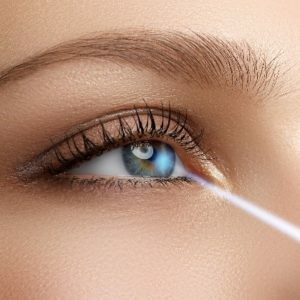 LASIK can actually save you money in the long run! If you have any questions about the cost of LASIK, or your payment or financing options, Berks Eye Physicians and Surgeons encourages you to visit our facility for a complimentary consultation. You can call 610-372-0712or send us a message today!